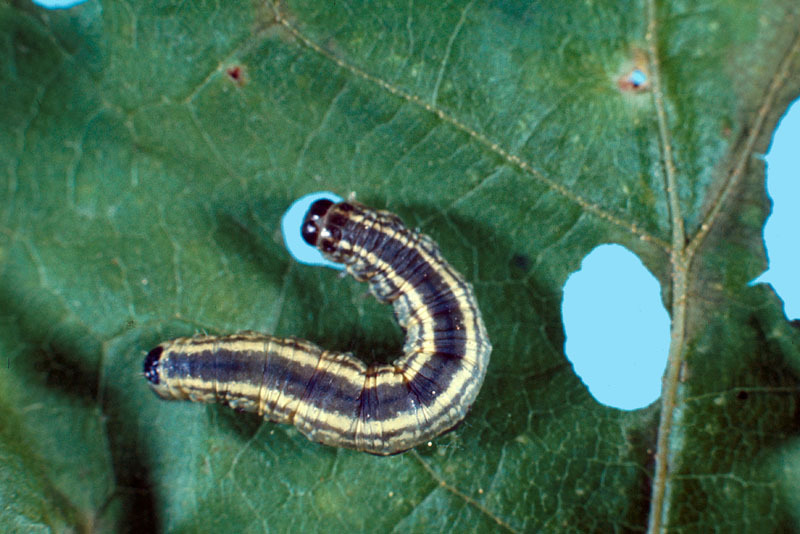 A first diagnosis can be made in May when tiny green caterpillars are observed on the undersurface of leaves or between leaves held together by silk threads. 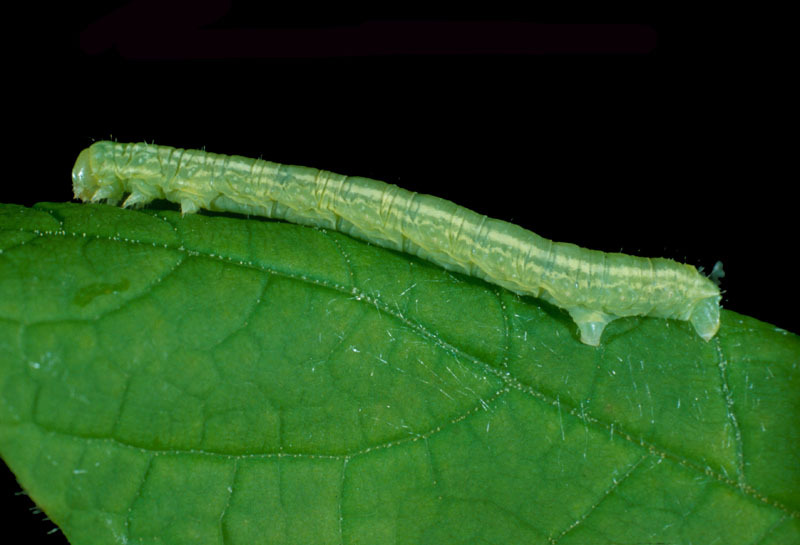 In June, the larvae move around freely and devour the leaves right down to the ribs. 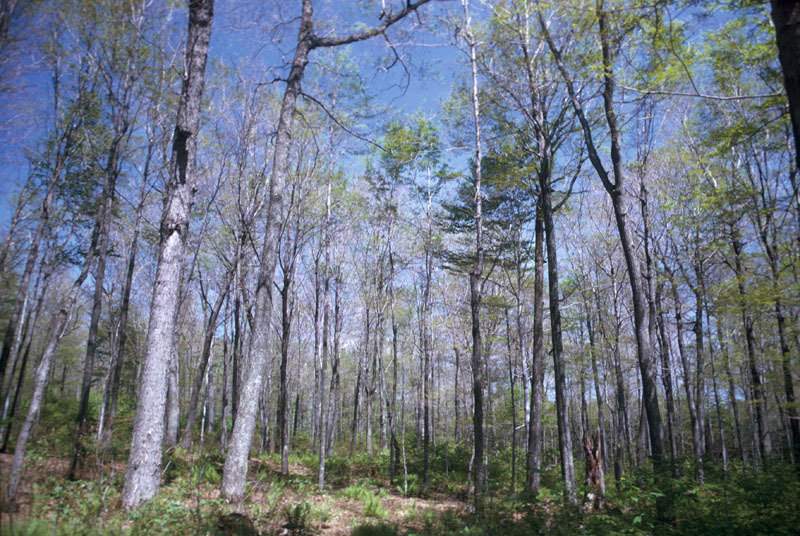 If early defoliation occurs, some deciduous trees, including sugar maple, are able to produce new foliage during the summer, although the leaves will be less abundant and smaller. 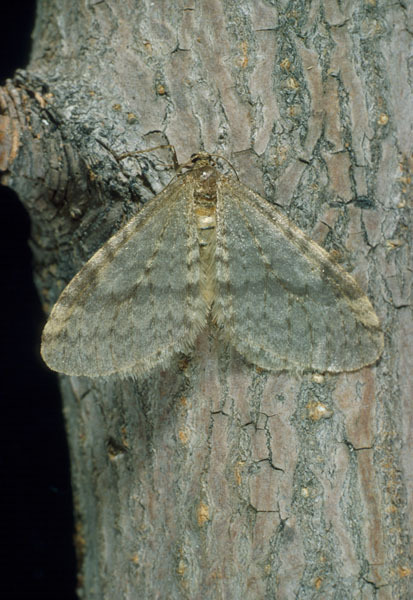 In autumn, after the leaves fall, light brown moths may emerge; these male insects may be observed flying at a low level or climbing tree trunks in search of winged females. Their presence provides confirmation of the diagnosis made in the spring. This species is native to North America. The first Bruce spanworm invasions were reported in Western Canada at the turn of the 20th century. In eastern North America, the worst damage has been reported in Quebec, on sugar maple. 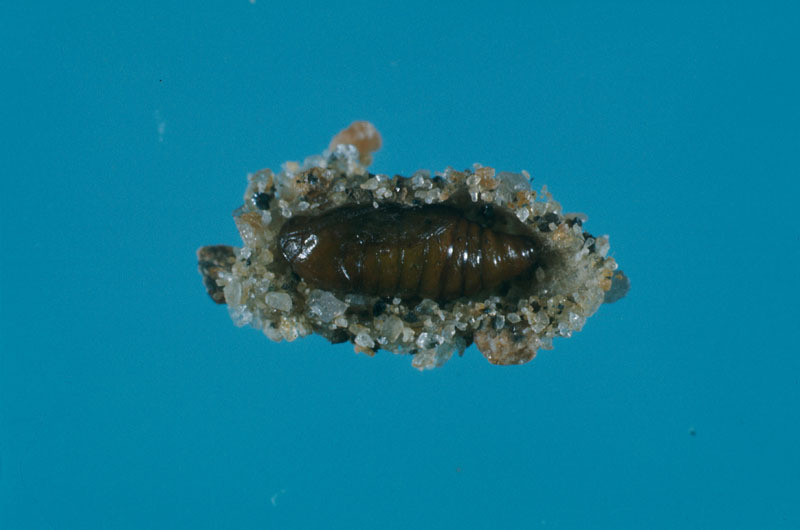 In Ontario, in spite of a few local invasions, this insect is not considered a serious threat. Trees are rarely affected to the point that they will die; however, it may be necessary to protect trees that have significant ornamental value. 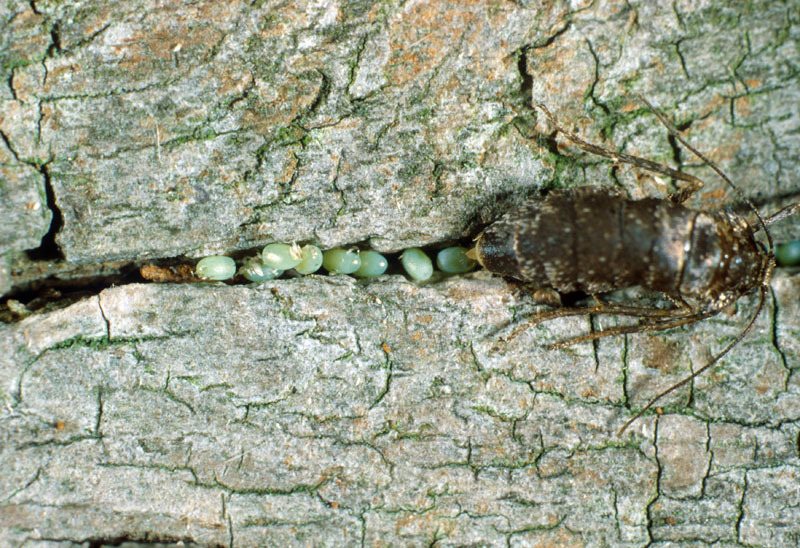 A sticky strip or product can be applied at the base of the trunk in the fall to stop the females from climbing up the trunk to lay their eggs.